Here are nine FREE Kindle books for you in the Amazon Kindle: as of this posting, each of the books was free on the Amazon website but please make sure you check the pricing before you smack the “buy” button as the pricing can (and does) change at any time! Back to U by Kathy Dunnehoff has received an average user rating of 4 out of 5 stars based on 24 customer reviews. USA subscribers: click here or type in http://amzn.to/SXaKIx into your web browser to receive your free copy. UK subscribers: click here or type in http://amzn.to/TXqMJ6 into your web browser to receive your free copy. 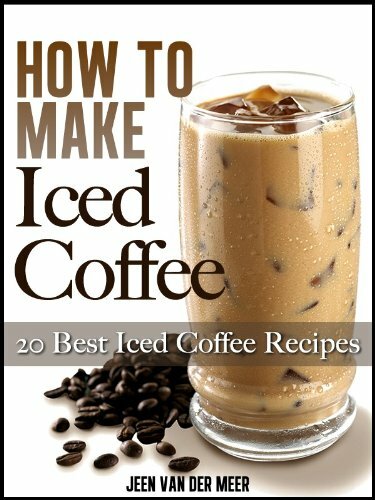 How to Make Iced Coffee – 20 Best Iced Coffee Recipes by Jeen van der Meer has received an average user rating of 5 out of 5 stars based on 8 customer reviews. Iced Coffee recipes aren’t just delicious, they’re REALLY EASY to make, as well. How To Make Iced Coffee will tell you how to make the best iced coffee you have ever had. And they are all so easy to make, these mouth-watering cold drinks. We have collected 20 of the most popular and best recipes. There is something for every taste and preference. Impress your guests and family with a delicious iced coffee drink. USA subscribers: click here or type in http://amzn.to/W4TqW7 into your web browser to receive your free copy. UK subscribers: click here or type in http://amzn.to/St9CA4 into your web browser to receive your free copy. 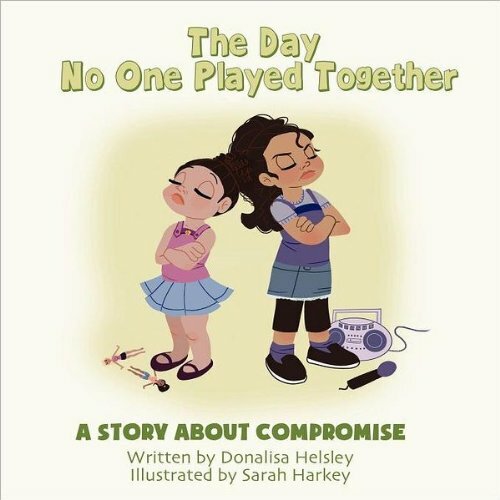 The Day No One Played Together: A Story About Compromise by Donalisa Helsley and Sarah Harkey has received an average user rating of 5 out of 5 stars based on 44 customer reviews. UK subscribers: click here or type in http://tinyurl.com/99aoejg into your web browser to receive your free copy. 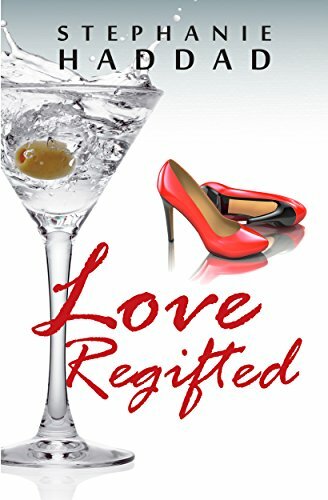 Love REgifted: A Novel by Stephanie Haddad has received an average user rating of 4 out of 5 stars based on 36 customer reviews. USA subscribers: click here or type in http://amzn.to/W4UucA into your web browser to receive your free copy. UK subscribers: click here or type in http://amzn.to/SQFWOQ into your web browser to receive your free copy. 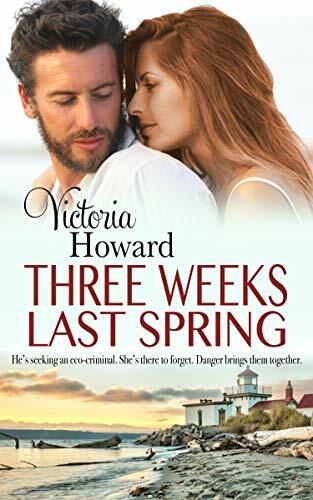 Three Weeks Last Spring by Victoria Howard has received an average user rating of 5 out of 5 stars based on 7 customer reviews. Skye Dunbar needs to get away from London to put a disastrous affair behind her. When she rents a cabin in Washington State’s San Juan Islands, the last thing she expects is to be accused of computer hacking. Jedediah Walker is investigating the dead marine life washed up on the islands beaches. And he has another problem – an unexpected, beautiful and suspicious new tenant renting his cabin. When Walker discovers that the fish contain a high concentration of toxic chemicals, he suspects they are being deliberately dumped in Puget Sound. Later, when someone hacks into his computer, he realises it is no coincidence and sets out to find out more about his mysterious new tenant. USA subscribers: click here or type in http://amzn.to/R5oe60 into your web browser to receive your free copy. UK subscribers: click here or type in http://amzn.to/SQGoN1 into your web browser to receive your free copy. Scott Nicholson Library, Vol. 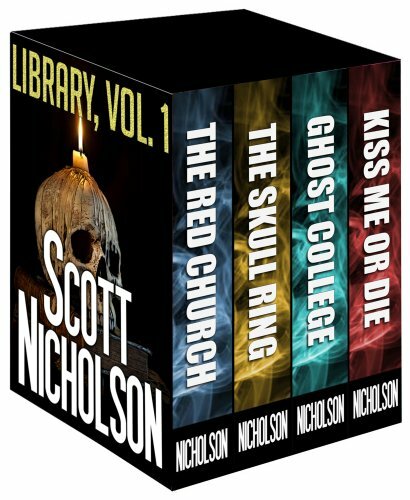 1 by Scott Nicholson is actually a compilation of 4 books into one, and has received an average user rating of 4 out of 5 stars based on 12 customer reviews. A boxed set of four novels from a #1 Kindle bestselling author. Nearly 300,000 words of fiction. THE SKULL RING: Julia Stone’s shattered past comes creeping back after she discovers a strange silver ring, and she can’t trust any of the three men who want to help her. AS I DIE LYING: Richard Coldiron’s five personalities may be possessed by a demonic spirit, and, to make matters worse, here comes the woman of his dreams. USA subscribers: click here or type in http://amzn.to/Qg1Hny into your web browser to receive your free copy. UK subscribers: click here or type in http://amzn.to/Vg26cG into your web browser to receive your free copy. Here are four FREE Kindle books for you in the Amazon Kindle store: as of this posting, each of the books was free on the Amazon website but please make sure you check the pricing before you smack the “buy” button as the pricing can (and does) change at any time! 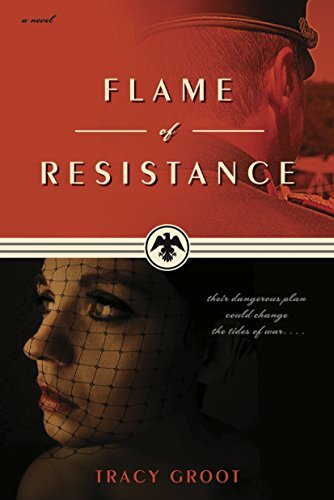 Flame of Resistance by Tracy Groot has received an average user rating of 4.5 out of 5 stars based on 48 customer reviews. USA subscribers: click here or type in http://amzn.to/QDzyZp into your web browser to receive your free copy. UK subscribers: click here or type in http://amzn.to/NZ9wQ3 into your web browser to receive your free copy. 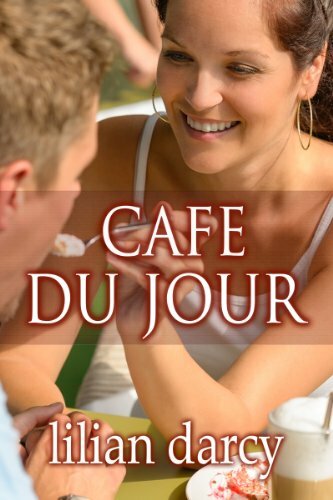 Café du Jour by Lilian Darcy has received an average user rating of 4 out of 5 stars based on 19 customer reviews. USA subscribers: click here or type in http://amzn.to/QpOnP8 into your web browser to receive your free copy. UK subscribers: click here or type in http://tinyurl.com/9at3vul into your web browser to receive your free copy. 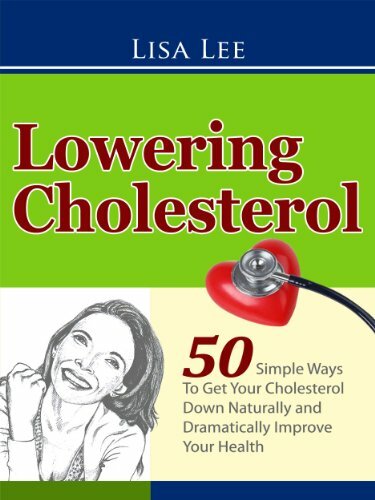 Lowering Cholesterol: 50 Simple Ways to Get Your Cholesterol Down Naturally and Dramatically Improve Your Health by Lisa Lee has received an average user rating of 4.5 out of 5 stars based on 15 customer reviews. In her new book, Health Expert Lisa Lee reveals a Healthy Cocktail of 50 Cholesterol Lowering Foods and lifestyle choices which can help to lower your Cholesterol levels significantly, without the use of drugs. Inside, you will discover how elevated Cholesterol levels are a major risk factor for health — they are conducive to heart attack, stroke and atherosclerosis — and why it is critical that you understand how to eat well, diet properly and above all start taking action to maintain and improve your health. In this easy-to-understand book, Lisa reveals how Cholesterol and heart disease risk can be easily controlled by a specific Cholesterol Lowering Diet which, when combined with lifestyle changes, can also aid and Improve Bowel Function, help you Lose Weight and Improve your Immune System. If you want to know the Secrets to getting your Cholesterol Down, then this book is for you! USA subscribers: click here or type in http://amzn.to/QQhoRf into your web browser to receive your free copy. UK subscribers: click here or type in http://amzn.to/OxRjuB into your web browser to receive your free copy. 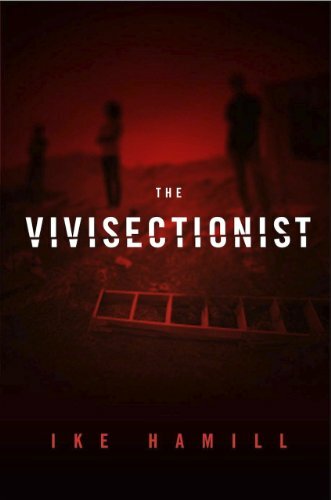 The Vivisectionist by Ike Hamill has received an average user rating of 4 out of 5 stars based on 57 customer reviews. UK subscribers: click here or type in http://tinyurl.com/9gluwdc into your web browser to receive your free copy. Today’s Free App of the Day is Mole Word and this game app is normally $0.99 in the Amazon App Store. Mole Word is the fun, fast-paced word game for all ages that’s easy to pick up, but impossible to put down! Form words from letters anywhere on the game board to unlock the vault and collect the treasure! But uh-oh, It looks like you’ve got a mole in your midst! Watch out for Shades the Spy Mole as he tries to put a hole in your plan and steal the treasure for himself! • Uncover the secret “Mole Word” for a huge point bonus! • Fast app resume – stop playing anytime and pick up right where you left off! If you’re a fan of Bookworm, Text Twist, Crossword, WordSearch, Word Mole, Bejeweled, Hangman, Words with Friends, or Scrabble, you’ll love Mole Word! You can pick up your free copy of Mole Word by clicking here or typing in http://tinyurl.com/appdeal into your computer’s web browser. Here are five FREE Kindle books for you in the Amazon Kindle store to start off your Sunday morning: as of this posting, each of the books was free on the Amazon website but please make sure you check the pricing before you smack the “buy” button as the pricing can (and does) change at any time! 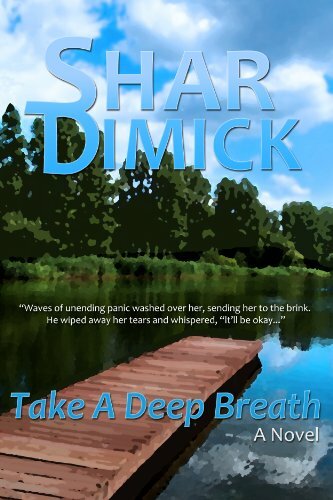 Take a Deep Breath by Shar Dimick has received an average user rating of 4.5 out of 5 stars based on 32 customer reviews. I received a note from the author saying this book would be free for today only. UK subscribers: click here or type in http://tinyurl.com/9dkhfah into your web browser to receive your free copy. When Pigs Fly by Nicola Marsh has received an average user rating of 4.5 out of 5 stars based on 68 customer reviews. Retired cop Mack Durgin used to bust perpetrators in Massachusetts, but now he’s widowed and living in Arizona. When a FedEx driver drops off an urn filled with his friend’s ashes at his front door, Mack reluctantly knows he must fulfill George Ashe’s final wish: to have his remains spread over the Grand Canyon. But Mack has no clue what lies hidden within the urn besides his friend’s ashes. On his journey through the desert, Mack meets the entrancing Calliope Vrattos, a former waitress in a bar that holds Elvis impersonation contests. Diet Cola is an ex-con who loves greasy food, but more than anything else, he desperately wants what he hid in the urn. Cola hooks up with a pair of loony housebreakers, a bald Elvis impersonator, and a dopehead with an outline of his brain tattooed on his skull. With a bit of luck and a lot of junk food, they trace Mack to the little town of Pincushion, Arizona. George Ashe may not be alive, but his remains are having the adventure of a lifetime. 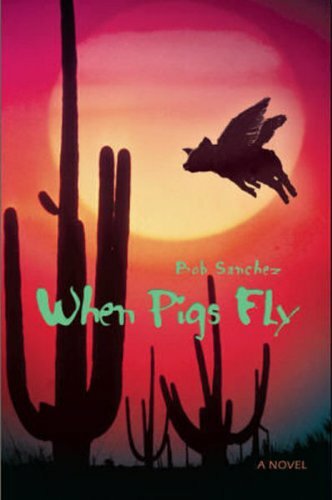 As Mack encounters one crazed character after another in his quest to fulfill his friend’s last wish, he realizes that life is a gamble and that pigs really do fly. USA subscribers: click here or type in http://amzn.to/MnwFL9 into your web browser to receive your free copy. UK subscribers: click here or type in http://tinyurl.com/8v8cvkn into your web browser to receive your free copy. 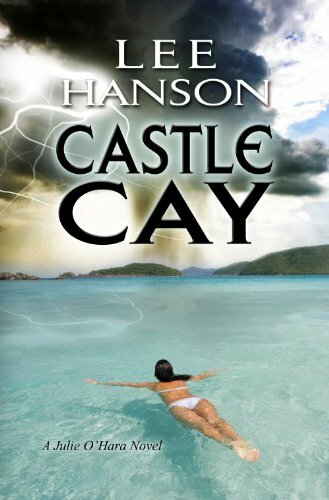 Castle Cay by Lee Hanson has received an average user rating of 4 out of 5 stars based on 28 customer reviews. 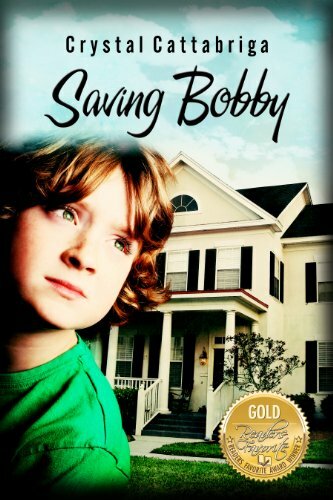 Saving Bobby by Crystal Cattabriga has received an average user rating of 5 out of 5 stars based on 53 customer reviews. When Bobby’s world came crashing down on his thirteenth birthday, he knew his life would never be the same again. After losing most of his family before ever becoming a teenager, Bobby was determined not to lose the only person who ever truly loved him and was always there for him—his mom. Struggling with the fear of losing his mother to cancer, Bobby takes it upon himself running away in search for a way to save her. 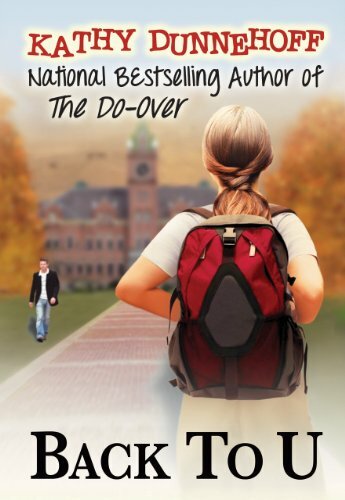 Along Bobby’s journey, he meets Annie, a runaway. Together, they embark on a road where they both find a friendship that will last forever and the true meaning of God. Will Bobby save his mother in time and will Annie go back to the life she had? Experience this journey with Bobby and Annie and feel the power of true determination, and what God can do, if you just let Him into your heart..
USA subscribers: click here or type in http://amzn.to/RsckVQ into your web browser to receive your free copy. UK subscribers: click here or type in http://amzn.to/Ve85Pk into your web browser to receive your free copy. 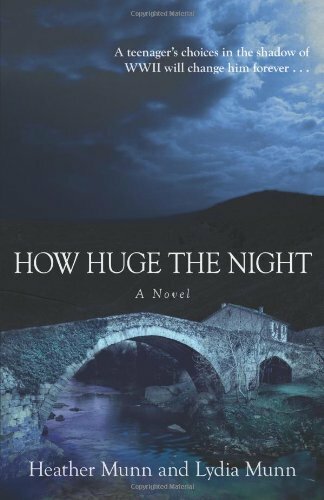 How Huge the Night by Heather Munn and Lydia Munn has received an average user rating of 4.5 out of 5 stars based on 49 customer reviews. Thrown together by the chaos of war, Julien begins to feel the terrible weight of the looming conflict and Nina fights to survive. As France falls to the Nazis, Julien struggles with doing what is right, even if it is not enough—and wonders whether or not he really can save Nina from almost certain death. Based on the true story of the town of Le Chambon—the only French town honored by Israel for rescuing Jews from the Holocaust—How Huge the Night is a compelling, coming-of-age drama that will keep teens turning the pages as it teaches them about a fascinating period of history and inspires them to think more deeply about their everyday choices. USA subscribers: click here or type in http://amzn.to/QCYaBx into your web browser to receive your free copy. UK subscribers: click here or type in http://amzn.to/PPaixB into your web browser to receive your free copy. Check out my other blog, Bible Verse of the Day on your Kindle – 100% of the proceeds are donated to charity, with over $7,000 donated to The Nehemiah Center of Houston since 2010! You can check out the two-week free trial if you type in http://tinyurl.com/bvoftheday into your computer’s web browser and click on the “Subscribe now with 1-click” button on the right-hand side of the page. Here are six FREE Kindle books for you in the Amazon Kindle: as of this posting, each of the books was free on the Amazon website but please make sure you check the pricing before you smack the “buy” button as the pricing can (and does) change at any time! 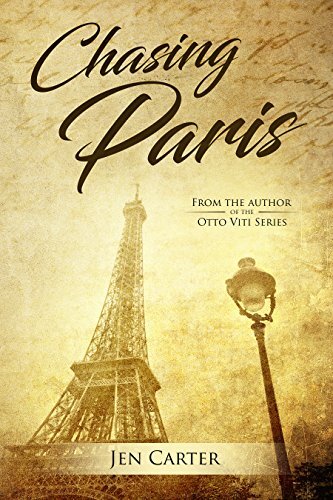 Chasing Paris by Jen Carter has received an average user rating of 5 out of 5 stars based on 8 customer reviews. I received a note from the author saying this book would be free through September 30th. Amy Winthrow is shocked when her grandmother dies—not because Elizabeth Hathaway’s death is unexpected but because her existence had always been hidden. Ever-inquisitive and prone to letting her imagination get the best of her, Amy embarks upon a journey with an unlikely friend to unravel the mysteries of the elusive Lizzie Hathaway. As she follows the trail of broken dreams and promises of her grandmother’s life, Amy finds herself on a path of accidental self-discovery—a path that she chases all the way to Paris where Lizzie’s story ends and Amy’s begins. USA subscribers: click here or type in http://amzn.to/SquNmv into your web browser to receive your free copy. UK subscribers: click here or type in http://amzn.to/PymSQI into your web browser to receive your free copy. 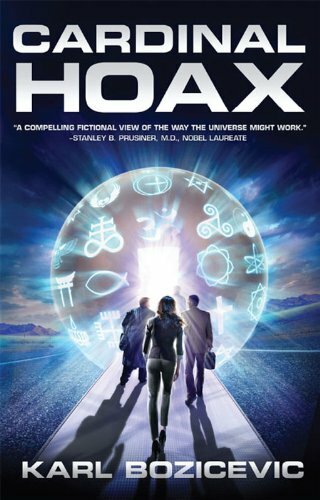 Cardinal Hoax by Karl Bocicevic has received an average user rating of 4.5 out of 5 stars based on 16 customer reviews. When Herbert Sedlack—an eccentric particle physicist working out of his sprawling Woodside estate—achieves startling results with a new invention, he knows he wants more from it than financial gain. His first coconspirator is Korin Prentise, a beautiful venture capitalist and an incorrigible risk taker. Two more members join the team—Alan, a gay computer genius, and Oscar, an African American theology professor at Stanford. Each keeps secrets from the others. Each has divergent motivations that converge and reverberate as an audacious scheme unfolds, from the mysterious Area 51 in Nevada, to the UN building in New York, to the sacred airspace of the Vatican. The first human beings to move between dimensional spaces, the four gain unexpected perspective on religion, interconnection, and hope. Most crucially, their efforts culminate with the greatest hoax the planet has ever known—a Cardinal Hoax. USA subscribers: click here or type in http://amzn.to/QCkLhv into your web browser to receive your free copy. UK subscribers: click here or type in http://amzn.to/UAcHft into your web browser to receive your free copy. 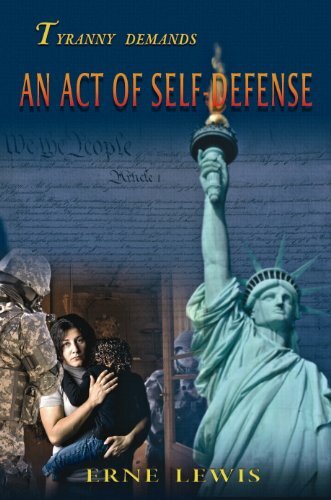 An Act of Self-Defense by Erne Lewis has received an average user rating of 5 out of 5 stars based on 91 customer reviews. It is ten years into the future and the nation’s government is nearing financial and moral collapse. A small group (the TLR) believes deadly force is necessary to save individual liberty from the two-party political aristocracy that divides and controls Congress. They believe dictatorial powers will soon be claimed by the federal government. They announce to the nation . . . and ours is the only form of revolution now possible. But it has this advantage. If lives must be taken, only ours or those that have stolen our lives will be required to forfeit theirs. They give Congress three days . . . to approve their proposed Term Limits Amendment to the Constitution that prevents professional politicians from serving in Congress. Or, unless they first resign, the long term incumbents will be term-limited in the only way they leave us. The Department of Justice targets term limits supporters and libertarians in its hunt for the terrorist group. But when the first senator is “term-limited” in spite of all that federal authorities can do to stop it, it is clear the terrorists will not be easily found. They are inside the federal law enforcement agencies that are hunting them. In this novel, I examine the issue that Thomas Jefferson predicted we would be forced to deal with. All three branches of our federal government have ignored the Constitutions protection of the individual’s rights. They have increased their own powers far beyond the limits provided in the Constitution. But what can we do about it? If our liberties, our right to make our own choices, are diminishing with every year, how do we ever regain them? Is deadly force justified? USA subscribers: click here or type in http://amzn.to/xxnb7M into your web browser to receive your free copy. UK subscribers: click here or type in http://amzn.to/Sb0fqx into your web browser to receive your free copy. Gimpy’s Secret…it’s what’s missing by E.H. McLellan has received an average user rating of 5 out of 5 stars based on 73 customer reviews. I received a note from the author saying this book would be free through October 3rd. We become defective, morally, socially and vitally, when deprived of love. Knowing and doing the actions associated with love is the greatest advantage you can give to yourself and to others. At last and for the first time, a template, a blueprint for doing Love. No more guess work. Gimpy’s Secret, is based on 35 years of rigorous research. The elements that must be present in order for Love to occur have been defined and organized. Love is indeed a verb. Now we can learn to Love like we know what we’re doing. Hate generates hate, only Love can generate love. USA subscribers: click here or type in http://amzn.to/PfBvae into your web browser to receive your free copy. UK subscribers: click here or type in http://amzn.to/Qy5f6p into your web browser to receive your free copy. 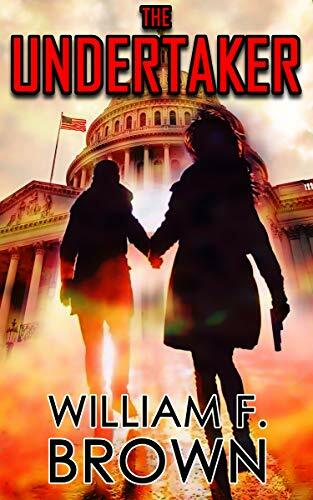 The Undertaker by William Brown has received an average user rating of 4.5 out of 5 stars based on 51 customer reviews. Pete Talbott is a California native and harried Boston computer wonk still grieving over the death of his wife Terri, when he found himself at the wrong end of Gino Parini’s .45 reading his own obituary torn from that morning’s newspaper. Talbott figured it was all a big mistake until Parini showed him his wife’s obituary too, and this was a mystery Talbott couldn’t leave alone. From a funeral home in Indiana, to car chases on the Dan Ryan, a bloody Back Bay townhouse, snipers in New York City’s Washington Square, sleazy lawyers, corrupt County sheriffs, mafia hit men, the FBI, an army of Chicago cops, and that unforgettable scene in the upper berth of an Amtrak Train, The Undertaker is a thrill ride with a touch of humor and romance. Someone with a penchant for sharp scalpels and embalming tables is planting bodies under other people’s names; and if Talbott doesn’t stop them, he and his quirky new girlfriend, Sandy Kasmarek, will be next on the Undertaker’s list. USA subscribers: click here or type in http://amzn.to/MUSinl into your web browser to receive your free copy. UK subscribers: click here or type in http://tinyurl.com/93rzweu into your web browser to receive your free copy. 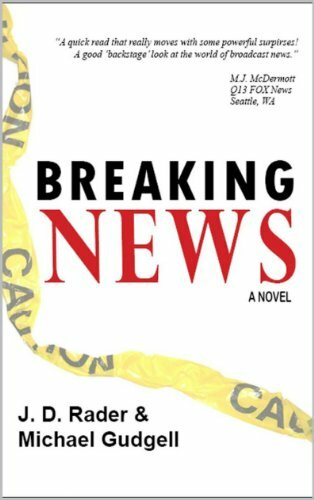 Breaking News by J.D. Rader and Michael Gudgell has received an average user rating of 4.5 out of 5 stars based on 24 customer reviews. USA subscribers: click here or type in http://amzn.to/wrfwlu into your web browser to receive your free copy. UK subscribers: click here or type in http://tinyurl.com/9oac7ep into your web browser to receive your free copy. Don’t Let an Old Person Move Into Your Body by Jim Donovan has received an average user rating of 4 out of 5 stars based on 23 customer reviews. I received a note from the author saying this book would be free through September 30th. Are you ageless – full of energy and ready to go – no matter what your birth certificate says? Or does the prospect of middle age leave you deeply concerned about what lies ahead? Don’t Let an Old Person Move Into Your Body shows you how to make the rest of your life, the best of your life — whether you’re in your 40’s, 50’s, 60’s, 70’s or beyond. In this powerful book you’ll learn how to live every day with passion, purpose, power, and prosperity — no matter when you were born. • Why aging is a state of mind. • How to identify and attract the dream life you’ve always wanted. • How to prevent other people’s negativity from destroying your dreams. • How to eliminate “energy zappers” in your life. • Why most of what we are told about illness and aging is wrong. • How to avoid becoming a victim of age related illnesses. 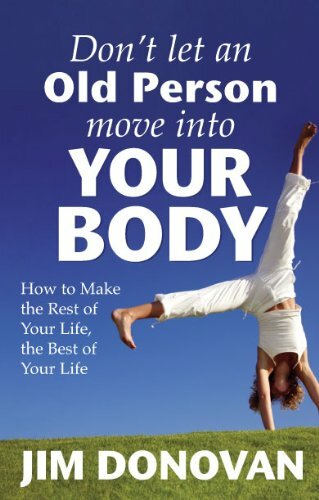 • Practical steps you can take to achieve optimal health, at any age. • How to create financial abundance and lasting security. • Simple things you can do each day to help yourself feel better spiritually, mentally, emotionally, and physically. USA subscribers: click here or type in http://amzn.to/M7kvpP into your web browser to receive your free copy. UK subscribers: click here or type in http://tinyurl.com/98ppo9y into your web browser to receive your free copy. 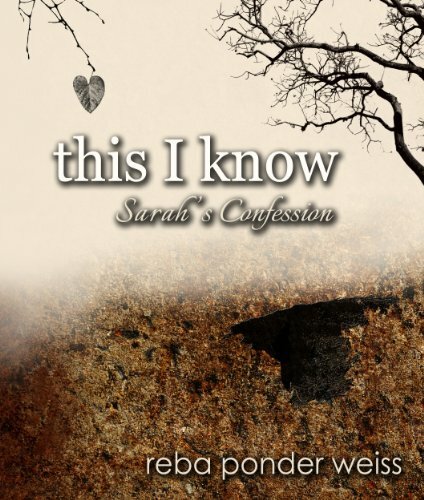 this I know – Sarah’s Confessionby Reba Ponder Weiss has received an average user rating of 5 out of 5 stars based on 29 customer reviews. I received a note from the author saying this book would be free through September 30th. A recluse emerges from the backwoods on the eve of his son’s romantic, southern wedding. Dinner spirals into chaos when the self-proclaimed prophet announces he hears spiritual messages straight from God. The voices tell him to prepare the way for the end of the world. His disturbing words find foothold in undeniable facts as disbelief dissolves into terror. Those who gathered to celebrate are suddenly faced with an unthinkable dilemma. They must follow him into a remote, secret sanctuary, prepared exclusively survival… or they can die. As apocalyptic events begin to unfold, the ancient battle of darkness and light quickly becomes a modern reality. USA subscribers: click here or type in http://amzn.to/R1pLKf into your web browser to receive your free copy. UK subscribers: click here or type in http://amzn.to/Qaqh9p into your web browser to receive your free copy. 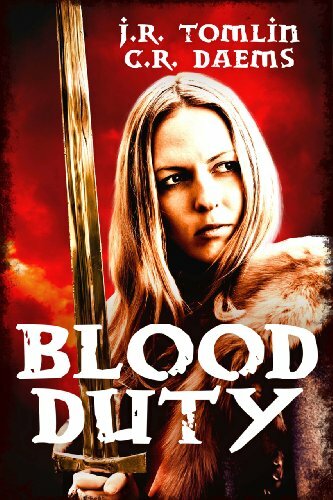 Blood Duty by J.R. Tomlin and C.R. Daems has received an average user rating of 4.5 out of 5 stars based on 10 customer reviews. I received a note from the author saying this book would be free for today only. Tamra Dervon, Captain of the Guard of Wayfare Keep, thinks her biggest problem is her love affair with Jessup. The scout is holding things back from her, and she doesn’t know what. But when a seemingly unbeatable army of demons invades, Tamra’s personal problems look very small. Tamra and Jessup find themselves leading a last-ditch defense. Their army is defeated. Jessup disappears in the retreat. As Tamra continues the struggle to defend her homeland, she discovers that another duty lies ahead — to face a demon horde alone. USA subscribers: click here or type in http://amzn.to/Nso2OT into your web browser to receive your free copy. UK subscribers: click here or type in http://tinyurl.com/8jcqx8s into your web browser to receive your free copy. 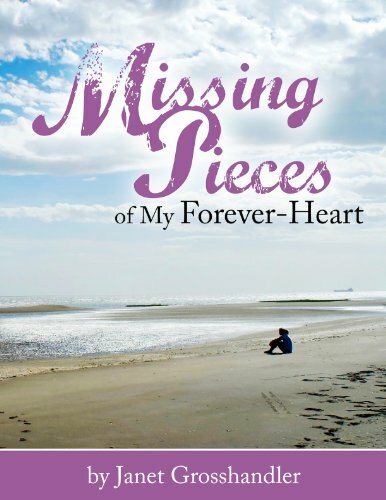 Missing Pieces of My Forever Heart by Janet Grosshandler has received an average user rating of 4.5 out of 5 stars based on 27 customer reviews. USA subscribers: click here or type in http://amzn.to/MGqwYH into your web browser to receive your free copy. UK subscribers: click here or type in http://tinyurl.com/8qtrj8g into your web browser to receive your free copy. Way Out West by Blanche Marriott has received an average user rating of 5 out of 5 stars based on 6 customer reviews. 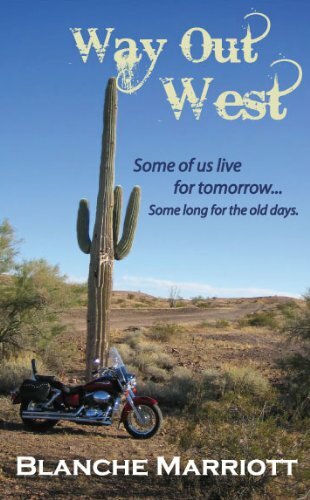 Benton “Rand” Randall leaves the corporate rat race to find anonymity in Way Out West. What he finds is a breath of fresh air in a sassy saloon girl who warms his frozen heart. But his past catches up when a vengeance-seeking former employee threatens everything he values, including the town and Callie. Will he lose Callie if he exposes his identity to save the town and his corporate empire? Can she love a man she knows only as a gambler? USA subscribers: click here or type in http://amzn.to/VanMa0 into your web browser to receive your free copy. UK subscribers: click here or type in http://amzn.to/UzFnoQ into your web browser to receive your free copy. Amazon appears to be having a server issue this morning, as the dozen or so books that were supposed to be released for free (according to the independent authors who let me know in advance about the deals) are having issues: first thing this morning none of them were free and, as I type up this post, about 25% of them are free now. Let’s just say the independent authors who have emailed me this morning are a tad bit frustrated. We have one child going one way and another going a different way today with their activities, so I will be logging in later today as time permits to see if the issue has been resolved. The Kindle Daily Deal is a one-day only offer where a specific Kindle book for adults and one for young readers (children or young adults) has been hand-selected by the editors at Amazon and significantly discounted for today only. At least, that’s the way it’s supposed to work but Amazon appears to be continuing the weekend tradition by offering ten highly-rated mystery and thrillers at just $1.99 today, which is 80% off of their normal $9.99 each pricing. Rather than list each of them out individually, you can check them all out if you You can check each of them out if you click here or type in http://amzn.to/kddeal into your computer’s web browser. High school senior Frenchy is just getting by, smoking pot with his best friend Stewart and skating through life. But Stewart is up to something and he wants Frenchy to join in–by trying out for the high school musical, Man of La Mancha. A perfect plan for Stewart’s most legendary prank ever, right? Wrong. Stewart is serious, and convincing. The next thing Frenchy knows they have won the lead parts of Don Quixote and his sidekick Sancho. Stewart’s passion infuses the whole production, but his antics begin to border on obsessive, and Frenchy has to step in more and more often to reign him in. Ultimately, like Quixote, Stewart is spiralling into the beginning stages of schizophrenia. Frenchy embodies and then explodes his role as sidekick both in the play and in life as he figures out how to be a friend, a leader, and a man. 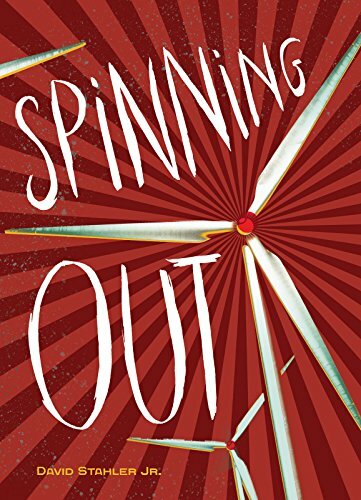 You can pick up your copy of Spinning Out by clicking here or typing in http://amzn.to/kddeal into your computer’s web browser. In each post of the various free book offers I try to provide a variety of different genres, as I realize everyone has different tastes. While there are certain genres I love, I know there are folks out there who absolutely wouldn’t stand to read the kinds of books I enjoy; the opposite is also true, as I know there are those of you who absolutely love paranormal tales about vampires, especially id someone falls in love with a vampire – as one example – yet you would never catch me reading one of those. Over 140 cooking-related titles being free in the Amazon Kindle store (you can click here or type in http://bit.ly/TejVdT into your web browser to see that post again or in case you missed it). Over 650 children / young adult titles being free in the Amazon Kindle store (you can click here or type in http://bit.ly/QjbjuY into your web browser to see that post again or in case you missed it). Over 900 romance titles being free in the Amazon Kindle store (you can click here or type in http://bit.ly/UyoomJ into your web browser to see that post again or in case you missed it). I hope each of you have a great weekend! Go to this post’s page on the blog’s website by clicking here or typing in http://wp.me/p2b82w-3ns into your web browser. At the bottom of the post you will see several icons underneath the “Comments” toolbar. Click on the second one from the right – it looks like an @ symbol. Your email program will open up. Type in your friend(s) email address(es), and you can make changes to the Subject line as well as type your own message. In the message field, you can change whatever you want to – but don’t delete the link! If someone forwarded this post to you, why not stick around and visit? Here are seven additional FREE Kindle books: as of this posting, each of the books was free on the Amazon website but please make sure you check the pricing before you smack the “buy” button as the pricing can (and does) change at any time! Love them or hate them, this fun, funny cartoon book is for anyone who has a cat in their life. 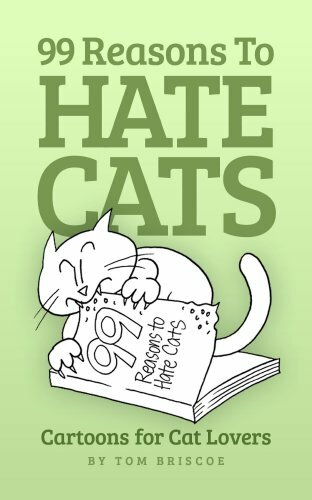 99 Reasons to Hate Cats shows the many ways in which the Felis Domesticus can drive you mad while still keeping your affections. Read, laugh and see if you find yourself (and your cat — or cats) in these pages. UK subscribers: click here or type in http://amzn.to/M1PPWI” into your web browser to receive your free copy. 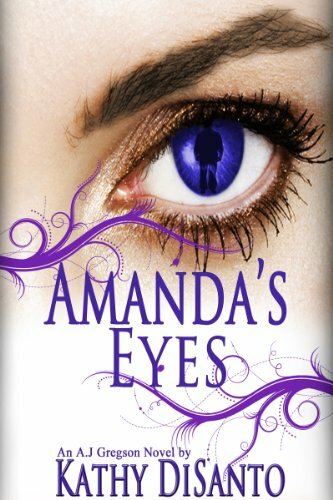 Amanda’s Eyes by Kathy DiSanto has received an average user rating of 5 out of 5 stars based on 12 customer reviews. USA subscribers: click here or type in http://amzn.to/ShXfTR into your web browser to receive your free copy. UK subscribers: click here or type in http://amzn.to/VV1WXB into your web browser to receive your free copy. 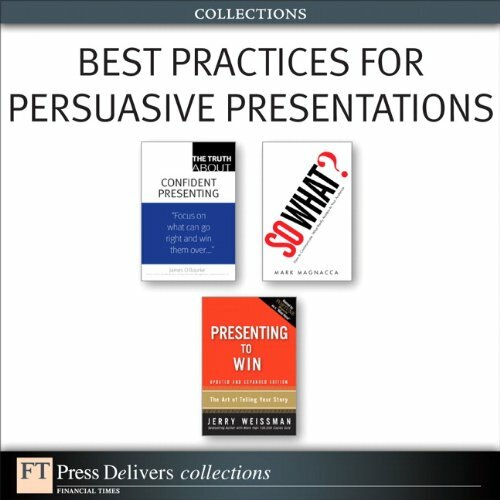 Best Practices for Persuasive Presentations is actually a compilation fo three highly-rated business / self-improvement books by noted authors James O’Rourke, Mark Magnacca, and Jerry Weissman. 3 expert guides to creating and delivering the best presentations of your life! Learn how to make winning presentations fearlessly and painlessly… prepare quickly, efficiently, and well… manage anxiety and handle hostile audiences… answer the crucial “So What?” question brilliantly, every time… capture even the toughest, most high-level audience in 90 seconds… tell compelling stories that move your listeners to action! USA subscribers: click here or type in http://amzn.to/nNAN5T into your web browser to receive your free copy. UK subscribers: click here or type in http://amzn.to/S6rJO8 into your web browser to receive your free copy. 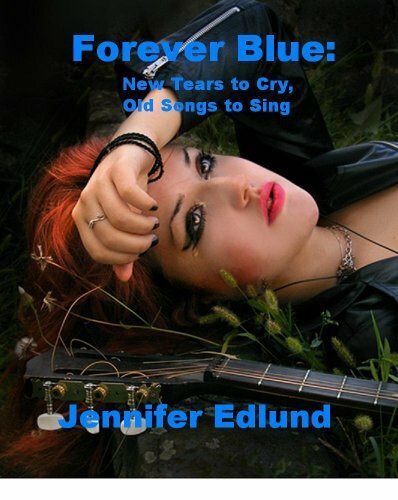 Forever Blue: New Tears to Cry, Old Songs to Singl by Jennifer Edlund has received an average user rating of 4.5 out of 5 stars based on 20 customer reviews. USA subscribers: click here or type in http://amzn.to/SpFsh7 into your web browser to receive your free copy. UK subscribers: click here or type in http://amzn.to/S6swOV into your web browser to receive your free copy. 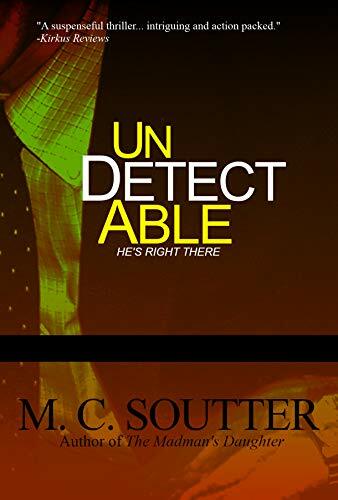 Undetectable by M.C. Soutter has received an average user rating of 4.5 out of 5 stars based on 21 customer reviews. Or one of the most lethal Secret Service agents on the planet. Undetectable is the story of Kevin Brooks, the first test subject of a new and unproven neurological technique called scrubbing. A private-school teacher in Manhattan, he has just landed a brand new job. It’s the most important, most dangerous job he’ll ever have. He just doesn’t know about it yet. Kevin will soon be in charge of protecting the greatest computer scientist of our generation. This man is on the verge of a breakthrough that could change all of our lives, and he already has 24-hour protection from the United States Secret Service. There are people who want this scientist dead, and these people know how to pick their moments. Which is why the man will soon be the beneficiary of a new kind of protector, an undetectable protector. Now, in the second book of the Great Minds series, Kevin Brooks will be put through every imaginable test. He will have less than two weeks to prepare, but several years of training to absorb. Whether he is ready in time or not, there will be lives that need saving. And no one else who can do the job. USA subscribers: click here or type in http://amzn.to/QKPCpd into your web browser to receive your free copy. UK subscribers: click here or type in http://amzn.to/Q8F6Jn into your web browser to receive your free copy. Today’s Kindle Daily Deal for adults is Black April: The Fall of South Vietnam, 1973-1975, a historical book by George J. Veith, and this book was $29.95 yesterday in the Amazon Kindle Store (that was not a typo) but has been discounted 90% to just $2.99 for today only. This book has received an average user rating of 5 out of 5 stars based on 15 customer reviews. 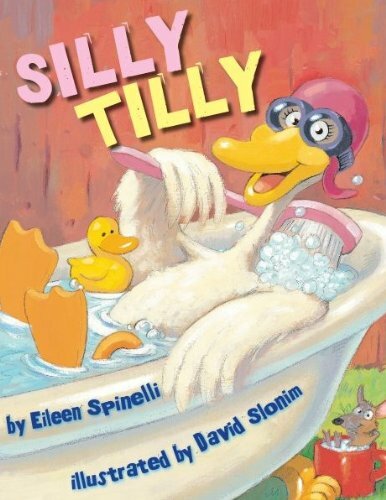 Today’s Kindle Kids Daily Deal is Silly Tilly by Eileen Spinelli and David Slonim, and this book was $9.99 yesterday in the Amazon Kindle Store but have been discounted 80% to just $1.99 for today only. This book has received an average user rating of 4.5 out of 5 stars based on 9 customer reviews. 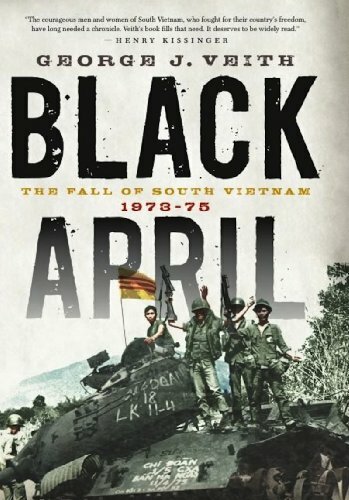 You can pick up your copy of Black April: The Fall of South Vietnam, 1973-1975 by clicking here or typing in http://amzn.to/kddeal into your computer’s web browser. But the barnyard animals complain that she’s too silly. When she stops entertaining her friends with her antics, the farm becomes a quiet and unhappy place. 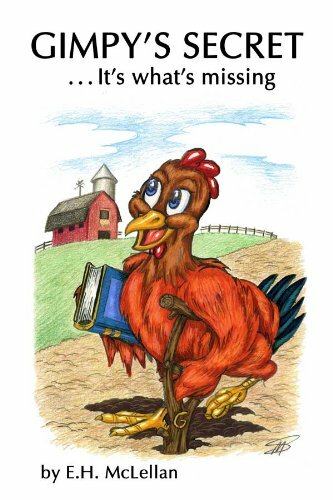 David Slonim’s acrylic, pencil, and ballpoint pen illustrations add to the hilarity in this story about a one-of-a-kind silly goose. You can pick up your copy of Silly Tilly by clicking here or typing in http://amzn.to/kddeal into your computer’s web browser.